This entry was posted in art yarn, knitting, Spinning, Uncategorized, Yarn as art and tagged art yarn, handknit, handspun yarn, navajo ply, Spinning by Leah. Bookmark the permalink. Gorgeous yarns, and I’ve always felt like thick singles require EXACTLY that. I never spin for a purpose. My experience is that even when I do, the yarn often becomes something else in the end. Thanks! Glad I am not alone in the thought about spinning thick singles..! 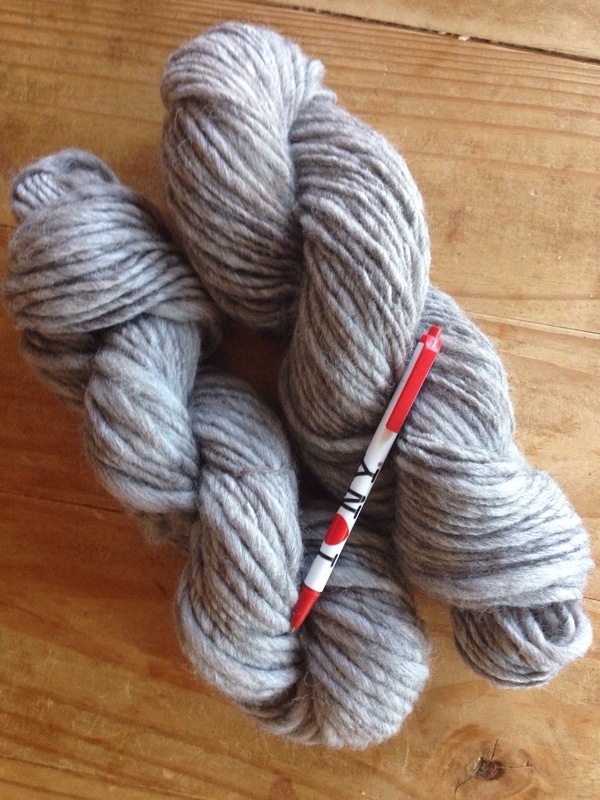 I love looking at your blog and seeing the gorgeous yarns you spin! I have guiltily been neglecting my spinning learning for weaving, which I always said I would never get involved with! LOL! Never say never! I really need to take a class or two for spinning because I’m having trouble with the ratio thing relative to the type of yarn you want to spin. I have fallen in love with making shawls so it follows that I love spinning lace weight yarns. I have to admit though, if I’m going to be brutally honest, I haven’t experienced other types of spinning yet… really need those hands on classes. I have DVD’s for learning to spin but I think I’m at the point where I need someone by my side who can guide me with what I’m doing wrong, or right. 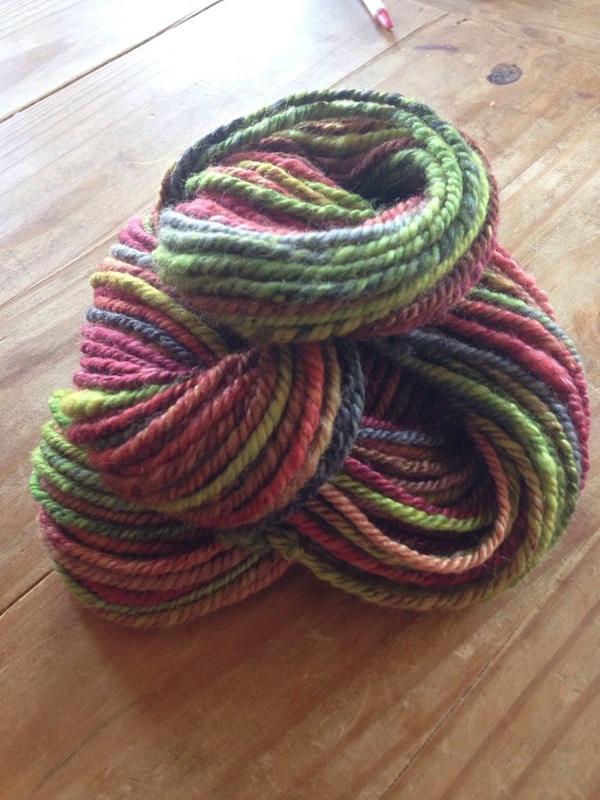 I love that first yarn you spun – did you dye it yourself? Lovely colors… that’s next on my list once I can get consistent yarn… start dyeing my own yarns. Oh so much yarn and so little time… LOL! Hi Beth! Thanks! I did not dye this yarn..I’m still working on my dyeing skills too! With the spinning, the best advice I got was to make it a constant thing every day–even just 15 minutes. After a while, the ratios really do make sense intuitively..you get a feel for it. The other pointer that was really helpful fir me was to consciously treadle slower, which can really give you more control. But weaving is super addictive too..and a great way to use all the yarn you spin. I am constantly amazed at how different a yarn looks woven compared to knitting. Both are beautiful, but the different looks are amazing!